Saint Francis Medical Partners - Bartlett (Bartlett) - Book Appointment Online! 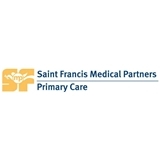 Saint Francis Medical Partners is a network of physicians and practices throughout the Memphis area. Affiliated with either Saint Francis Hospital – Memphis or Bartlett, we consist of 10 practices and 21 physicians, offering advanced consultative and clinical services in the fields of primary care, cardiology, thoracic and cardiovascular surgery, and gastroenterology. Physician alignment has become a primary business strategy for hospital systems in the healthcare industry nation-wide. At Saint Francis, our physicians help our hospital provide needed services in the Memphis market. Saint Francis Medical Partners continues to grow as we affiliate with established practices and welcome new physicians to the network. Great visit. Very personable and professional. I really liked Dr. Cooley - she was personable, knowledgeable and helped calm my nerves. Office staff was all wonderful, everyone I met from check-in, triage and the lab were friendly and professional. I will be back!